Dairy farming has made a comeback at Stoughton Estate, Leicestershire, thanks to a new farm tenancy arrangement. Aly Balsom reports. L-R: Charlie Crotty, Mark Housby, Tom Rawson and Jack Smith of Farmcare. It was the ever-growing battle to control black-grass and halt the decline in soil organic matters which led Farmcare to take the bold step to reintroduce livestock to Stoughton Estate. Having had no cattle on the estate for more than 13 years, this spring will see about 600 cross-bred cows start grazing 212ha (524 acres) of newly converted arable land as part of a 15-year Farm Business Tenancy. It was Co-op which originally halted dairy production on the estate, 10 years prior to the Wellcome Trust’s purchase in 2014. Farm manager Jack Smith says over the years which followed, the benefits of mixed farming became all the more evident. As a result, about two years ago Farmcare began looking at various business options which would address these issues, while also fulfilling their desire to get back into mixed farming. Beef and pigs were considered, however it was a pitch for a grass-based dairy system from Evolution Farming which came out on top. Dairying also made sense considering the existing building set-up. The pitch from Evolution was instigated by consultant Charlie Crotty who was keen to run his own dairy but had struggled to secure previous farm tenancies due to limited practical experience of managing dairy farms. As a result, he approached Tom Rawson of Evolution Farming about starting a joint venture. Mr Crotty has since bought one-third of Evolution’s shares. Houghton Lodge Dairy will be AHDB Dairy’s first Strategic Dairy Farm and is holding an open day on April 5. The fact the milk price was ‘in free fall’ at the time also meant producing milk as cheaply as possible on a spring system was the best way to go in terms of sustainability. Careful spending has been vital, particularly considering the business arrangement with Farmcare. The system has been budgeted on an initial cost of production of 22ppl and 20ppl in the long-term. At a current milk price of 29ppl, they are 7ppl ahead. 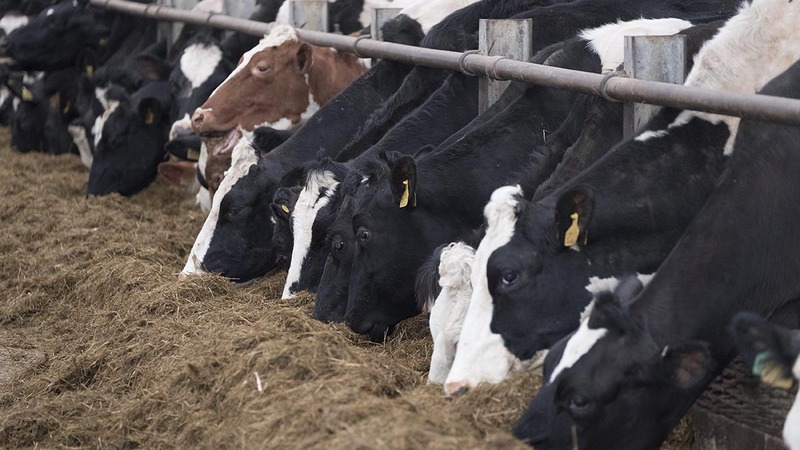 The need to be as efficient as possible has meant the project has been brought forward a year to make the most of cheap cow prices and a rising market. Mr Rawson says this has resulted in a ‘chaotic start’, with fences and tracks going in as cows have calved. About £10,000 has been spent on getting an existing 18:36 rapid exit parlour running while two 24:48 Waikato parlours are installed. Predicting a ‘once in a generation time to buy’ thanks to the falling value of sterling, Mr Rawson set out to purchase a lot of cows on the day of the EU referendum result. Consequently, the business has since seen a marked increase in stock value since. A drive to secure in-calf cows at the right price has also resulted in a larger than ideal calving window running between August and May. This meant some cows initially had to be milked at Mr Rawson’s other dairy in Dewsbury. “The quicker we can be one block, the better. This year, we will have a block in autumn, but we do not expect them to be here in 2018,” says Mr Rawson, who plans to move autumn calvers to another unit. 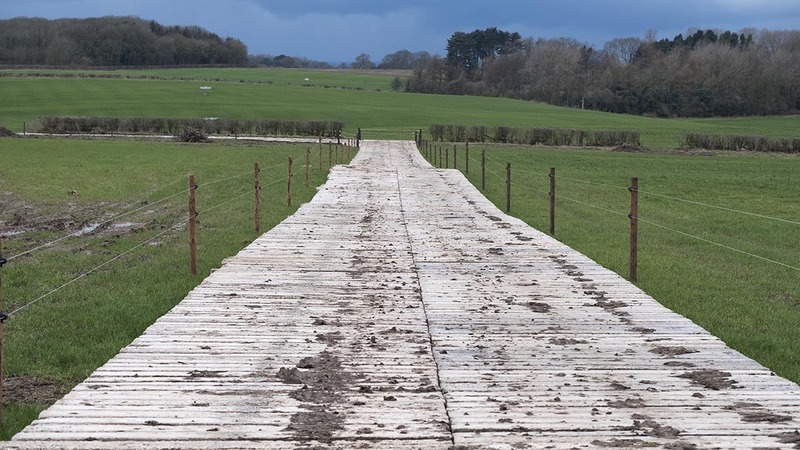 In terms of infrastructure, 20,000 sleepers, 42km of electric fencing and 11km of 50mm water pipe have been put in to enable rotational, paddock grazing. The estate’s relatively small fields have worked in the dairy’s favour, enabling paddocks of seven to nine hectares (17-22 acres) to be easily set up. Mr Smith’s team has also cut hedges and reclaimed lost land to ensure each paddock can be grazed at its optimum. Grassland was one of the first things to go in, with Mr Smith drilling intermediate and late heading perennial rye-grass mixes on the grazing ground, with and without clover. Dedicated silage ground has been planted with Italian rye-grass and red clover. The relationship with Evolution was vital in terms of sharing knowledge. 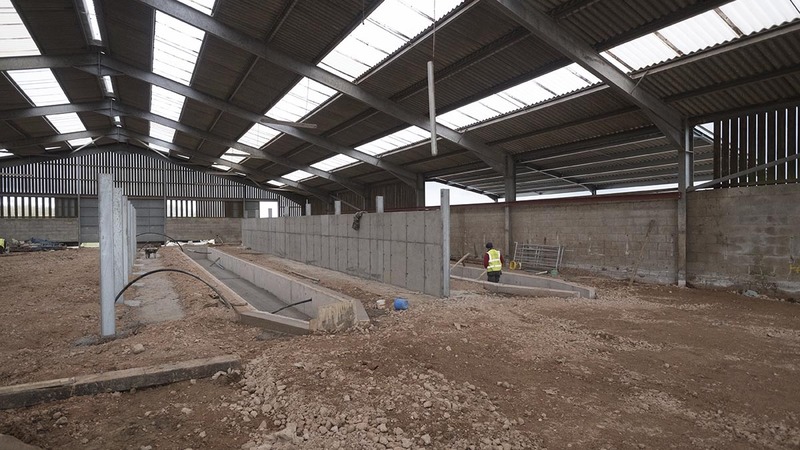 However, during the dairy’s development, milk contracts were thin on the ground, so the arrangement also enabled the new dairy to produce milk as an extension of Mr Rawson’s Arla contract on his existing Lincolnshire unit. In terms of system choice, Mr Rawson says a low-cost grass-based system was always at the top of the list. But deciding whether to be a spring or autumn block calving herd was up for debate. The initial plan was focused round an autumn system because of the existing dairy buildings but this has since changed to a spring one. Various business arrangements between Farmcare and Evolution have been discussed, including contract and share farming agreements. However, the decision was made to adopt a 15-year Farm Business Tenancy with a combination of grazing licenses. Evolution provides the cows and machinery. Farmcare then pays for investment in the farm’s infrastructure, but Evolution Farming pays a 10 per cent return on capital every year. Mr Rawson says this ‘concentrates the mind’ on spending wisely. The silage leys and maize will be rotated round the estate to help build fertility and control weeds on arable land. Mr Smith says this rotation will be vital as part of the estate’s black-grass control strategy. The dairy team will cart straw off the combine for use as bedding in loose yards. The arable team will then muck out sheds. This means each team helps at the other’s busiest time of year. Farmyard manure will be added to Mr Smith’s existing strategy of using human sludge and digestate to improve soil organic matter and fertility. As well as improved organic matter and weed control, renting the land also reduces risk by guaranteeing the business a set income. Mr Smith says reducing the combinable area from 1,622ha to 1,340ha (4,006 acres to 3,311 acres) will also enable more efficient production. “Before, the amount of land meant we were a 1.5-sprayer and 1.5-combine estate. We were almost caught in the middle. This arrangement has enabled us to restructure our machinery costs in a more effective way and we are in the process of moving to one sprayer and one combine. It fits well with Farmcare’s long-term view and approach of developing industry leading approaches with key partners,” he says. Now, 70 per cent of the estate is arable, versus 90 per cent before, with 20 per cent used for dairy and 10 per cent in stewardship schemes. The relationship with Farmcare means Evolution is able to develop a new dairy farm which would not be possible without Farmcare’s investment.